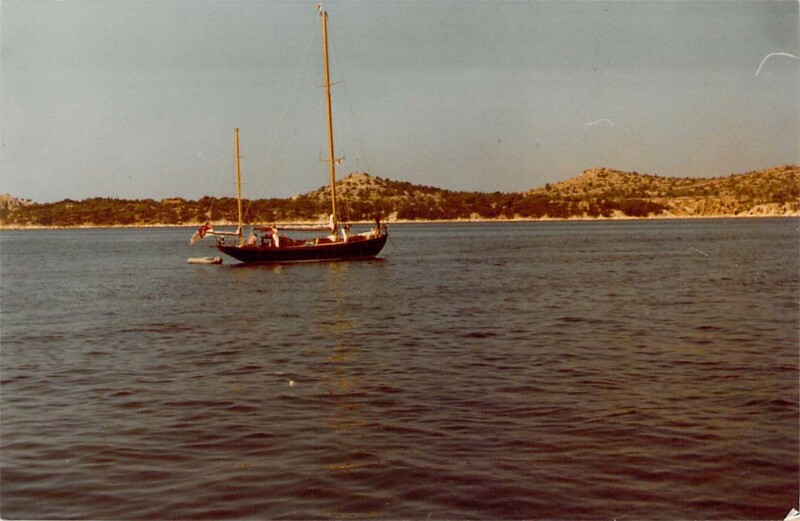 This picture shows Amokura at anchor flying the prestigious white ensign. The white ensign is the preserve of Royal Navy ships, Trinity House vessels escorting the reigning monarch, and (in Amokura‘s case) members of the Royal Yacht Squadron. Two of her previous owners, George Millar (who owned Amokura from 1954-60) and Richard Carr (from 1969-79), had this distinction. This picture shows Amokura with the aluminium masts fitted shortly after Carr purchased her in 1969 so it likely dates from the 1970s.